At the end of the 18th century, when Poland lost its independence, Princess Izabela Czartoryska founded a museum of national memorabilia. As a result, the records of many musical works have been preserved in the Czartoryski Library in Kraków. Among them, the harp compositions shine with exceptional splendour. 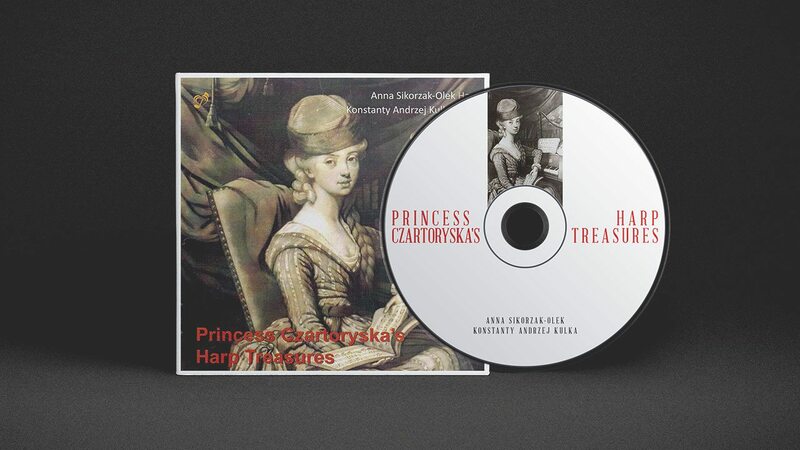 These delightful, melodious musical gems are revealed to us by the exquisite harpist Anna Sikorzak-Olek on the album “Princess Czartoryska’s Harp Treasures”. In the two works on the album, the artist is accompanied by an outstanding violin virtuoso, Konstanty Andrzej Kulka, who has been gracing philharmonic stages around the world since the 1960s. Anna Sikorzak-Olek is very active on the concert scene, appearing both as a soloist and as a chamber musician, combining the sounds of the harp with the flute, oboe, soprano and percussion. The artist is also a member of the Warsaw Harp Quartet, which is highly regarded in the classical music world, and collaborates with the Polish Radio Orchestra and the Sinfonia Varsovia. Lovers of popular music and jazz will also have heard her play, thanks to the versatile artist’s collaboration with Krzysztof Herdzin, Krzesimir Dębski, Henryk Miśkiewicz and Andrzej Jagodziński, among others. The special and specific repertoire delivered by the harpist on this record proved to be another way of showing the enchanting beauty in the characteristic sound of the instrument, cultivated over many years by Anna Sikorzak-Olek, with great feeling. It is also a great way to present forgotten works of classical music. The diligently rendered work, recorded in Warsaw’s Polish Radio Studio S2, includes both simple pieces by anonymous artists and compositions by prominent harp virtuosos. Among the latter are John Thomas’s “Nadzieja” (“Hope”), dedicated to Princess Anna Czartoryska, and Sonata Op.7 No.1 by French composer and harpist at the court of Countess d’Artois, Jean-Baptiste Cardon. Cardon’s 3-part Sonata and the closing classic, Francesco Pollini’s Sonata Facile Op.33, are performed by Anna Sikorzak-Olek and Konstanty Andrzej Kulka. The longest section of the album is the nearly 22-minute “Fandango des Noces de Gamache”, which is a collection of variations that reveal exceptionally clearly the immense sound potential of the harp. The author of this piece was a musician in Napoleon’s chamber orchestra and a painter, Martin-Pierre Dalvimare. Listening to this album is a real pleasure for the senses. The characteristic sound of the harp combined with the specificity of composition and the exceptional virtuosity of one of the greatest Polish masters of this instrument, Anna Sikorzak-Olek, guarantees that the album will not be quickly resigned to the shelf. 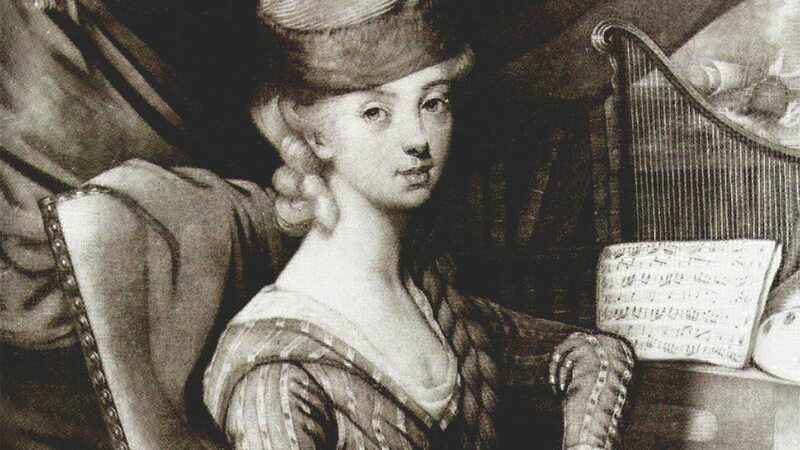 “Princess Czartoryska’s Harp Treasures” was released thanks to the efforts of the Phasma-Music Foundation, founded in 2016 by the outstanding Greek composer Michael Travlos. The album was released on 4 January 2018.